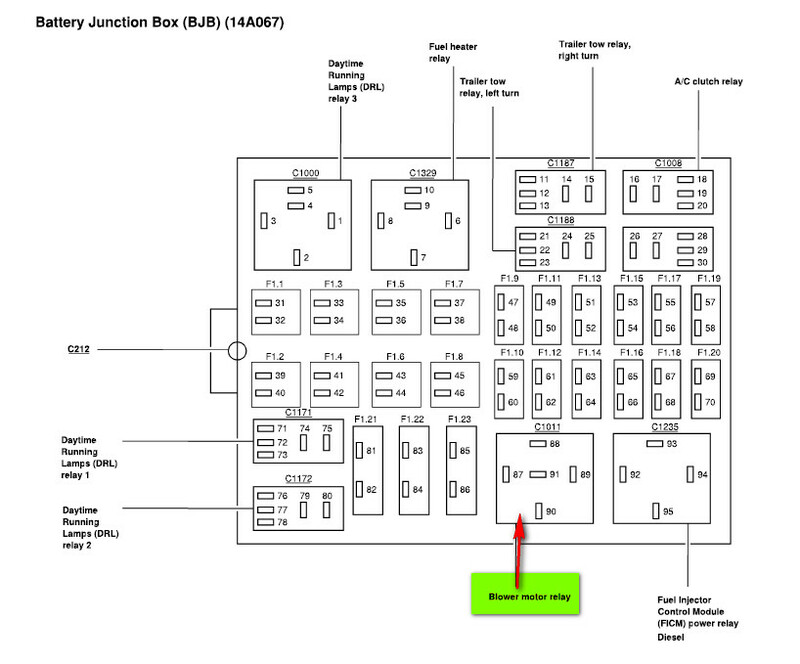 Technical Car Experts Answers everything you need: Where is blower motor relay located on 2005 Ford F-350? The blower motor problems are many a times caused by faulty blower motor relay. the blower motor relay is located Battery junction fuse box under hood. Its located in the under hood fuse panel.